According to the Nursing Home Abuse Care Center, 30% of nursing homes nationwide have been cited for instances of elder care abuse. However, this statistic does not even take into account the vast majority of cases – those instances of physical nursing home abuse that are never reported. In many cases, seniors are too reluctant, too frightened, or simply no longer able to let a loved one or authority know about how they are being mistreated. homes as of December 31st 2012. According to Families for Better Care, as of 2014 North Carolina scored below average or failing grades in half the areas studied. Violations were discovered in 90% of North Carolina nursing homes. It is up to us, their children and grandchildren, to keep them safe from abuse in their old age. How can you protect your parents and grandparents from physical nursing home abuse? Know that aging adults, seniors, and disabled people of all ages are protected by the North Carolina mandatory reporting law that states that "any person having reasonable cause to believe that a disabled adult is in need of protective services shall report such information." Also know that you may contact North Carolina Adult Protective Services to report cases of physical abuse. How do recognize signs of North Carolina elder physical abuse? Bruises, cuts, broken bones, sprains, or fractures. These are the more apparent and easiest signs of elder abuse to recognize – they are clear warnings that physical nursing home abuse could be taking place on a persistent and utterly unacceptable level. Although staff might have explanations for these physical signs of harm (she fell in the tub, she cut herself in crafting class) be sure to speak with your senior about the injuries and how they occurred. Over-medication. If your loved one seems constantly in a daze or even unconscious, they may be receiving too much medication. Over-medication can prevent residents from talking to their visitors about the physical abuse they are receiving or it can be a form of abuse in itself – nurses and adult care professionals may overmedicate patients so that they do not have to deal with them. Changes in mood or personality. Even if your loved one is too frightened or unable to speak to you about the physical abuse they are receiving, they can tell you through other means. If they are acting very differently – either becoming more withdrawn, more distant, or more aggressive or moody – be sure to investigate the situation thoroughly. Even if the mood change is not due to nursing home abuse, your loved one is probably trying to convey something important to you through their sudden change in behavior. An uncooperative staff. If the staff does not allow you to see the patient alone, or if there is a delay in seeing the patient, there may be a chance of elder abuse taking place when you are absent. Your loved one may not be able to confide in you what they have been going through if the offender is present. And you may not be able to see physical signs of abuse if they are covered up before you enter the room. If you think your parent, grandparent, or loved one is suffering from physical nursing home abuse, don’t wait to act. 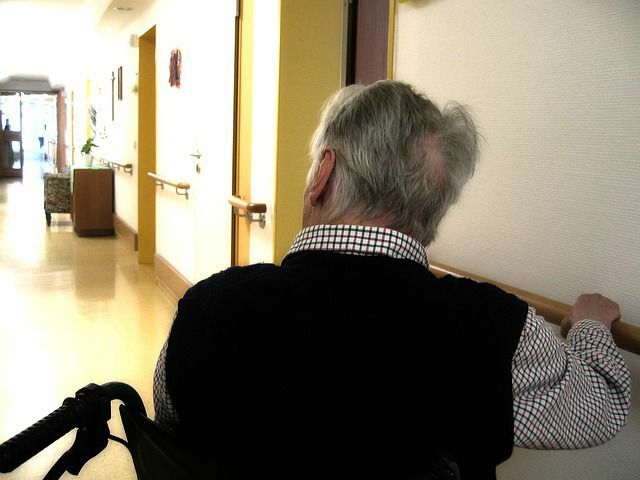 Instances of physical adult care abuse are much more common than you might like to think, and the vast majority of nursing home abuse cases go ignored and unreported.